Working from home carries special risks of isolation. It can be hard if you don’t know others in your shoes, who to go to when you have questions about something. It can be difficult to be aware of new technologies, different ways of doing things, and what the norm is when working with clients on a variety of situations that arise. When you network with other virtual assistants you’ll gain so many benefits. One of the ways that you can earn more money as a VA is to join forces with other VAs as joint venture partners. You can plan to host events together, do a course together, start a membership site together and so many more things that you may not have ever seen yourself doing. The best way to find JV partners is to network with other virtual assistants so that you can meet the people who may be your future JV partner. In a normal job, you usually form close friendships with co-workers. The reason is, you’re there 8 or more hours a day five days a week. There is little time outside of that time to make friends. But, when you work at home it’s harder, you must seek out the friendships. You’ll have more in common with other VAs and you can commiserate with them just like you would at work in a way that you both understand. This will help you be happier when working than not having that. One reason cited by many who try to start a VA career is that they feel isolated and lonely. Even if you’re slightly introverted, you may have a time where you just need people to talk to. Finding other VAs online to talk to is a great way to avoid this feeling. You can join Facebook Groups, VA Forums, and other types of online communities and if you participate you’ll always have them when you need them. 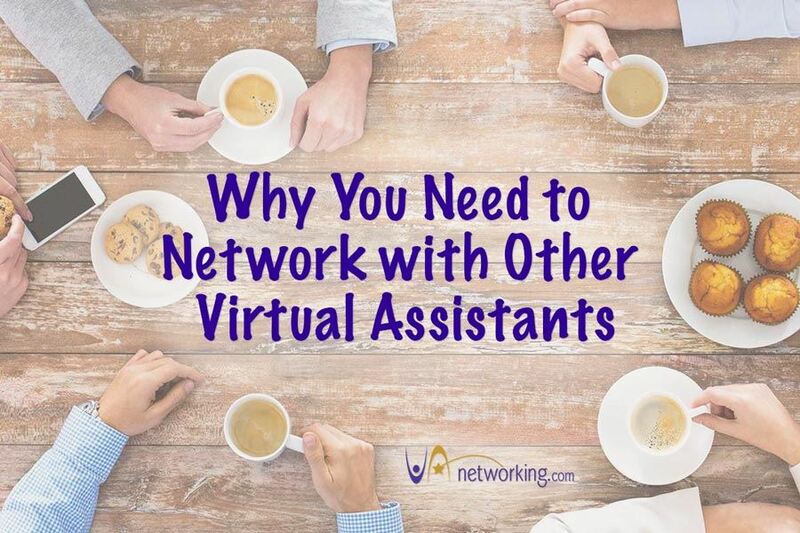 An awesome part of networking with other virtual assistants is that it helps you stay on top of the best technology. One thing that helps a VA become successful is the ability to set up systems and procedures. The successful VAs who started before you, already have it worked out. You can learn from them if you realize you don’t need to reinvent the wheel. You might think that networking with VAs is networking with your competitors and in some cases, that is correct. But not all VAs are in the same niche. That means many people can be sources of referrals for you and vice versa. To get more referrals give more referrals. When you see other people experiencing success and problems you’ll realize you are just a human being like everyone else and it’ll help you become more motivated. You’ll realize if they can do it by following these steps, then you can do it too. People, for the most part, do like helping each other and seeing others succeed. This is especially true in the VA community. We’re a small knit group and we do like it when people succeed and make their business what they want it to be. When you share your goals, you’ll get accountability plus practical help and ideas that will help you reach your goals faster. If you’ve been around the VA world long enough; younger and less experienced VAs will look up to you. You can build a real reputation as an expert within your niche among VAs who will pass that information onto people they know when your particular expertise is needed. Networking with colleagues is just as important as networking with your ideal clients. Except that the relationships you build can become real friendships that can help you get through the toughest of times and the best of times. True connections can make all the difference in the success you achieve as a virtual assistant. One of the best venues to network with other Virtual Assistants is at a online conference dedicated to training VAs like #VAVS. Our webinar room has an easy to use chat room that you can talk in and ask questions in before, during and after the events. It’s an awesome way to network with like-minded in a fun and friendly environment online. Join us for 20 one hour educational webinars (only $37!) that you can watch from the comforts of your home taught by your peers, Virtual Assistants already making it in this industry. Who better to learn from than those who are doing it and making it in our industry than your Virtual Assistant friends. Have you got your ticket yet??? 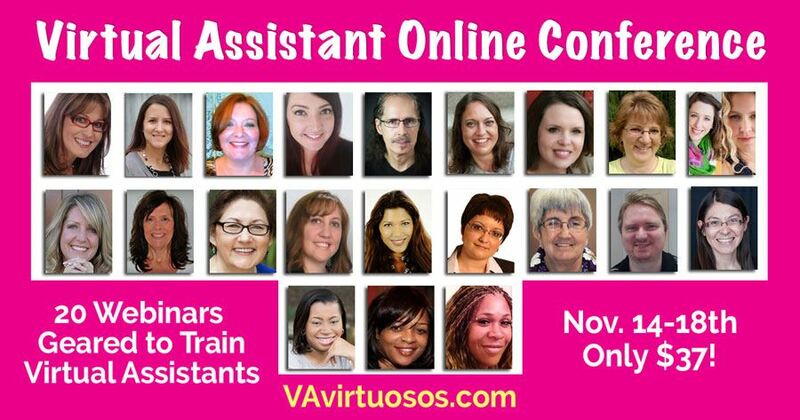 Season 14 of our Virtual Assistant industry online conference starts on Monday, November 14th. Mark your calendars clear for November 14-18th as you will not want to miss this educational online conference. 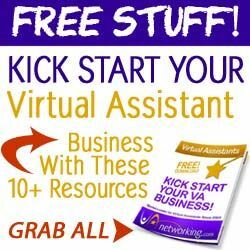 Virtual Assistants Unite to Learn How to Make More Money! Special thanks to our #VAVS Speaker Stephanie Watson-Barry for providing us with this featured article.